Fine walk up to an old mustering hut. Excellent views. 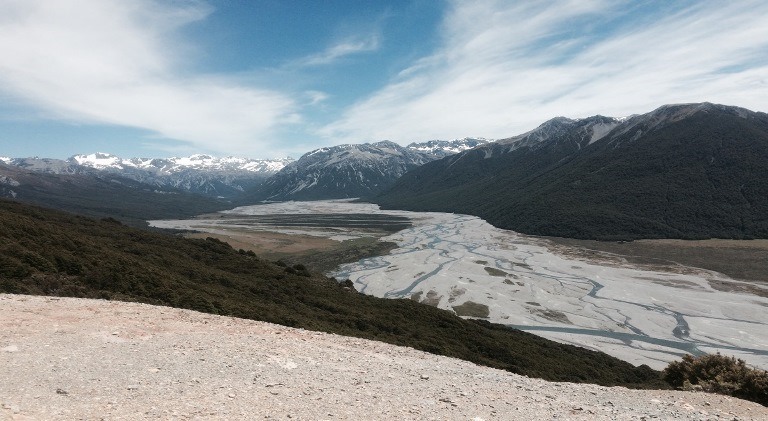 "This is a great walk up to an old mustering hut. You can cover it in two to three hours return? it makes for a good morning's walking - and a good contrast to Avalanche Peak because it does not rise above the bush line (although you still get some tremendous views). Drive out of the village on SH73 (... you won't have difficulty finding the road- it's the only one in town) for about 10 miles/14 km. You'll pass the Bealey Hotel on your left shortly before the trailhead. The trailhead itself is close to a car park on the right at the bottom of Cloudesley Road just before the main road bends sharply to the left. You walk up Cloudesley Road skirting the curtilage of various houses and then begin to walk through a beech wood. In contrast to the Avalanche Peak trail, you'll be climbing at a gentle pace (so this is a pleasant outing if your legs are still recovering from the day before!). This part of the walk lasts for about 30 minutes or so when you emerge from the wood and follow some tussocks and a river bed up on to a ridge. This is the most spectacular part of the walk - you get great views. The rest of the trail up to the hut takes about another hour and leads mainly through woodland. The hut itself is basic (http://www.doc.govt.nz/parks-and-recreation/places-to-go/canterbury/places/arthurs-pass-national-park/things-to-do/huts/bealey-spur-hut/ ) but it's worth having a peek inside because it contains some interesting information on the history of the hut. You could walk on from here to the summit. However, my understanding is that the route is not well-marked so you would need a good map. 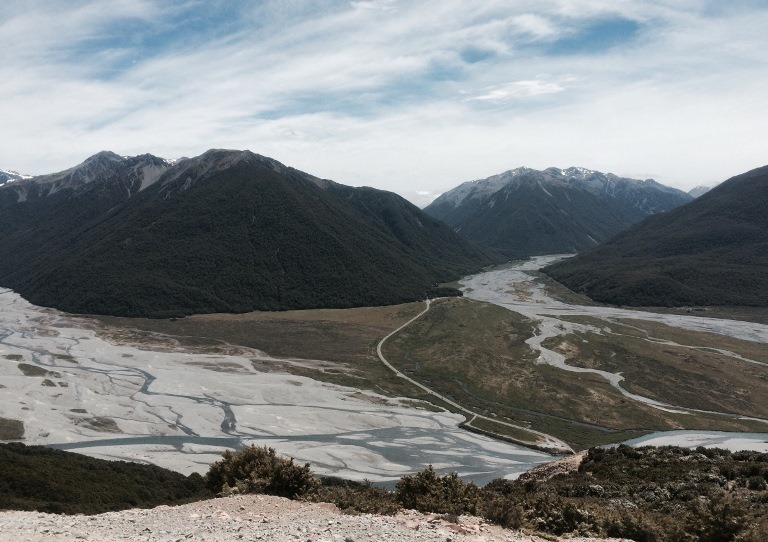 I wanted to walk the Otira Valley on the same day, which is beyond the north end of the village, so I returned to the trailhead."